The men’s lacrosse team was ranked No. 4 in Division II in the Nike Preseason Poll last Monday. The Spartans lost their chance to play in last year’s NCAA Division II Championship by three points. They were defeated by Limestone, who went undefeated in the regular season in 2016. Limestone recorded their first loss of the season in the National Championship to Lemoyne. The Nike top four lines up directly with last year’s semifinals, with Lemoyne first and the Spartans in fourth. The Spartans are heavy favorites to win the Sunshine State Conference (SSC). In 2016, they won their third consecutive SSC regular season and tournament titles. Rollins University is expected to be the Spartans’ biggest competition within the conference this season. They were ranked 20 in Division II, and were the only other SSC team the Nike Preseason Poll. Head coach Rory Whipple says he expects a lot out of the season and the team is on board. “We’ve been to the NCAA’s the last three years and we’ve been to the semifinals twice, so our expectations are high and the team attitude is high,” Whipple said. The Spartans roster is full of experience, with nine seniors, three of whom are All-Americans. Senior defenseman and All-American Marty Heyn says the team leadership is more prominent this year than years past, and the is gelling well because of it. Whipple says he thinks this is the best team in Tampa history. Leading the charge this year will be senior captains Conor Whipple and Jake Schimdt, who are both All-American forwards. Conor led the SSC last year in assists and points per game, and scored at least three goals in seven games last season. Schimdt scored 36 goals and 14 assists in 2016, and scored a career-best five goals in the NCAA Championship quarterfinal against Mercyhurst on last season. The Spartans added two more players to their all-time All-American line-up. Heyn and sophomore forward Andrew Kew were tabbed on the second team in Wednesday’s release of the All-Americans for 2017. 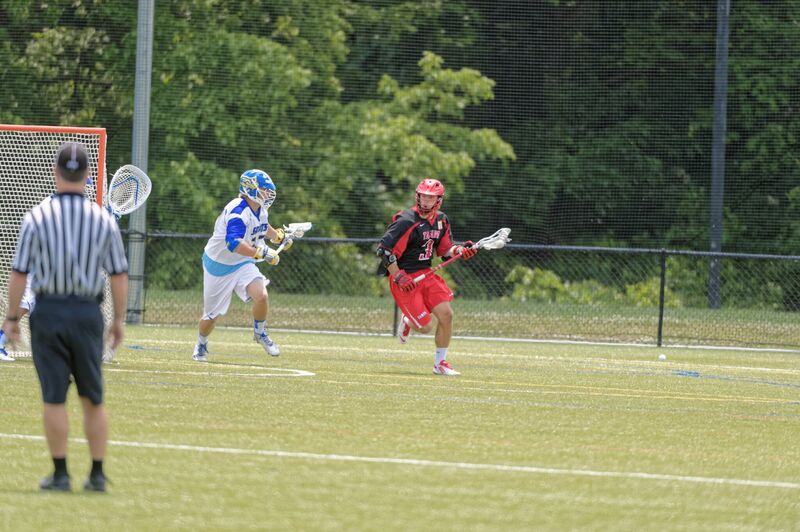 Last season, Heyn recorded 10 turnovers and picked up 21 ground balls. He recorded three ground balls against No. 1 Limestone last season. Kew led the team last year in goals with 62 and posted six assists for a total of 68 points. He tied the school record for goals in a single game with eight against No. 5 Adelphi last season. With two All-Americans leading the attack, the Spartans could be extremely dynamic on offense this season, even more so than last season when they dominated the SSC, scoring 236 goals and posting a .366 shot percentage. Also joining the Spartans attack is freshman Bryan Wright, who scored 100 career goals for the New Jersey powerhouse Moorestown High School. “The attack could be the best attack in Division II,” Whipple said. As well as on the field, the Spartans are extremely sturdy on the sideline. Whipple is returning for his sixth season with UT. This season, Whipple will inch his way closer to 300 wins and extend his tenure as the winningest coach in NCAA Division II lacrosse. His personal record is 281-193, and his record with UT is 53-18. Standing next to Whipple is assistant coach and defensive coordinator Chris Burdick, who was named the Intercollegiate Men’s Lacrosse Coaches Association (IMLCA) Assistant Coach of the Year for 2016. The Spartans defense has been noticeably efficient under Burdick. They have not posted a goals-against average higher than 9.1 in his five years with the team. The Spartans preseason rank is exciting to many, but the team’s focus will be on the field come opening day on Feb. 5. “It’s always nice to be ranked high preseason, but I think we want to end the year higher than fourth in the country,” Whipple said.